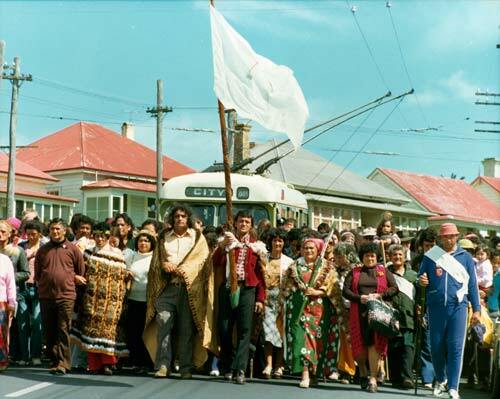 Seen here in College Hill, Auckland, these marchers are part of a massive 1975 protest that ended at Parliament buildings, Wellington. The hīkoi (march) aimed to unite Māori across tribal boundaries in opposition to sales of remaining Māori land. It also demonstrated the resurgence of Māori cultural and political identity.